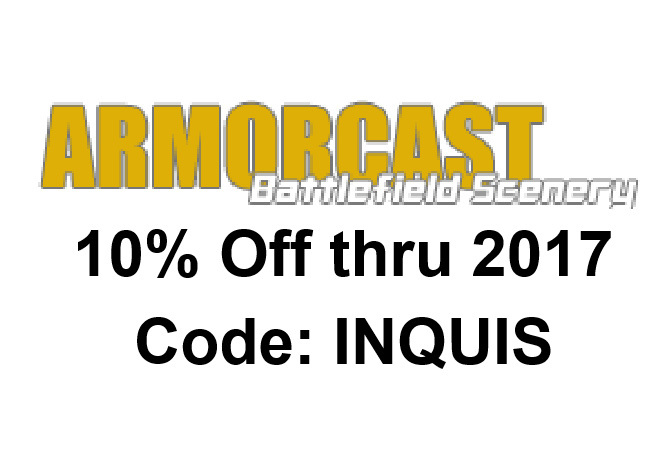 This month I reached out to one of the terrain company originals, Armorcast. They have been in the biz since I’ve been in this hobby and they are still going strong. Since the days of my first Reaver Titan, I’m always looking to see what cool stuff they are creating and how I can use it on the table top to better create my story. I have boxes of there resin terrain kits for various projects I’m working on. Over time I’ll be completing those projects and showing off pics and telling people just where I got those pieces that make the terrain pop. Why wait when I can show you some cool stuff now. Urban settings are very popular in the setting of Warhammer 40k and Armorcast has some great scenery for this. Gothic to modern they have some great pieces for your table. The Cathedral is amazing and they have a ruined version too. I really like the modularity of the Goth Tech kits. I was already thinking how I can combine this with other kits to make some truly amazing scenery. If you are more into the modern look, they have you covered there as well. Plenty of room to create your perfect cityscape and with their strong resin you know your terrain can handle some wear and tear. I’ve said it before that I love scatter terrain and it can really spice up a city scene. Armorcast has a wide variety, so much so that I thought it best to include it with each theme. From roof top accessories to mailboxes, they got you covered. They even have individual trash piles to make those alley ways seem all the more derelict.